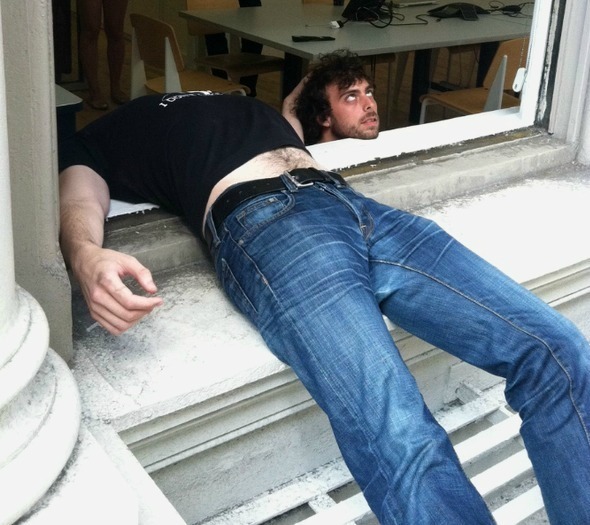 If you follow internet photo trends, then you’ve probably already seen planking and owling in action. 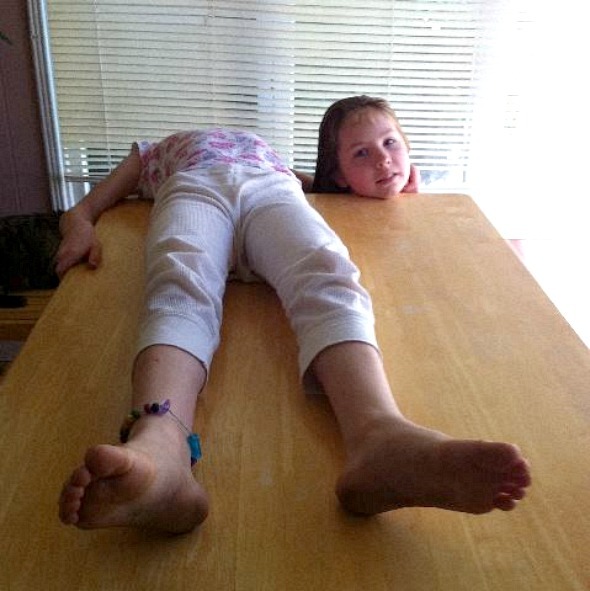 While those memes have no real place here, the newest photo trend, horsemanning, is a perfect match for an illusions blog. 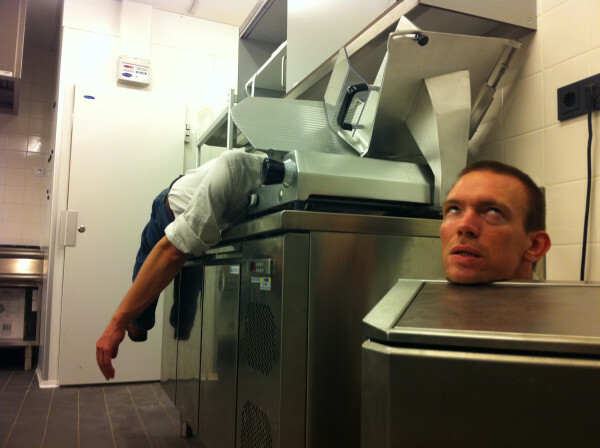 Horsemanning is actually an example of everything old becoming new again. While the trend has been exploding across the net, it actually was a big fad in 1920’s photography. 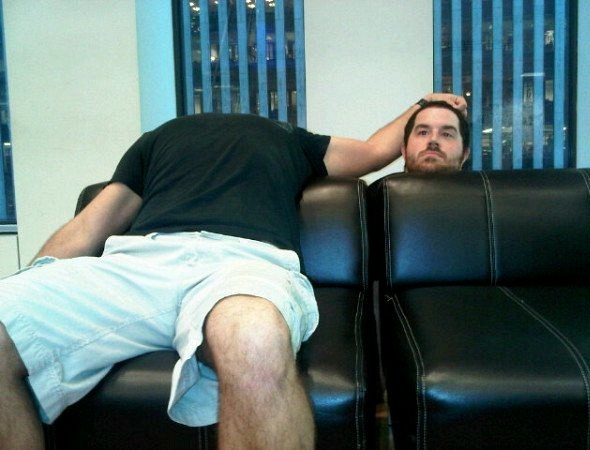 The process is pretty basic: arrange two people so one person’s head can’t be seen and the other person’s head is the only part of their body that can be seen. 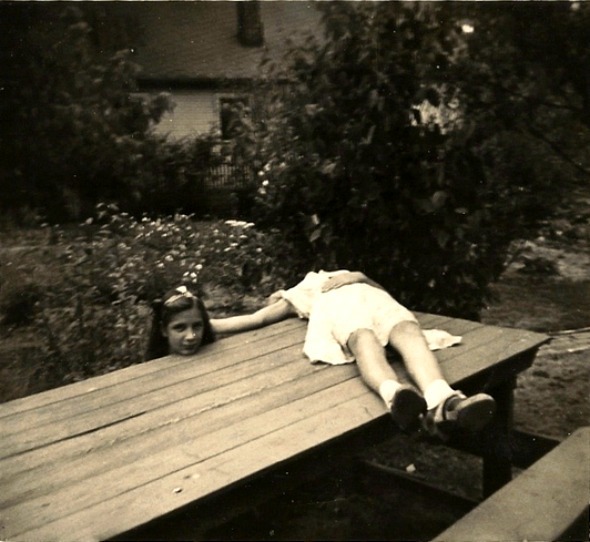 In the twenties, this was a popular way to imitate the headless horseman from The Legend of Sleepy Hollow. The modern incarnation of the trend started when someone found the image below at a flea market and then uploaded it on to the net. Being as how planking and owling both peaked in popularity shortly before this image came out, it’s not too surprising that the trend became huge immediately. It even has its own Facebook fanpage and homepage. What do you guys think of the fad, is it fun? Funny? Or just plain stupid? Also, have you ever taken goofy illusion photos like this at home? Agree! 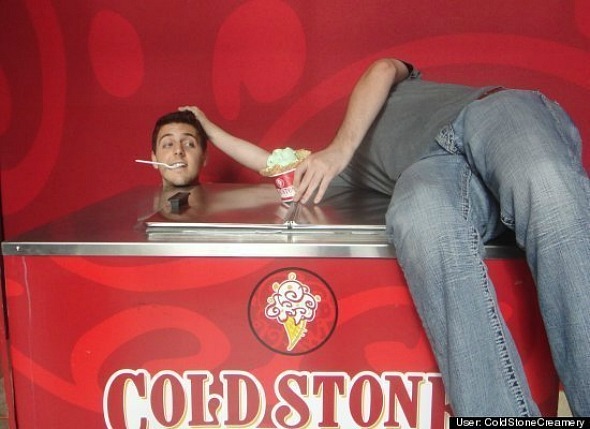 These are much more creative than planking, gargoyling or owling. Now I really like the last one. At least it looks more realistic. Interesting and fun. Had not heard of the 1920’s fad before. I like the 1920’s photo and the meat cutter best. That is a copier, right? kinda sick, but I like them! Yes, stupid but still funny! 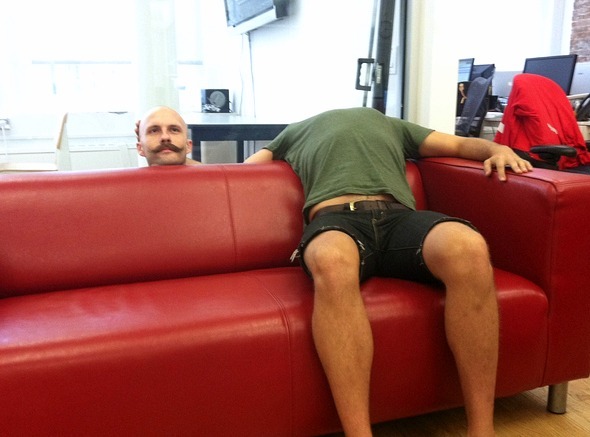 People now a days lose their heads over the silliest things. Hahahahahaha!! 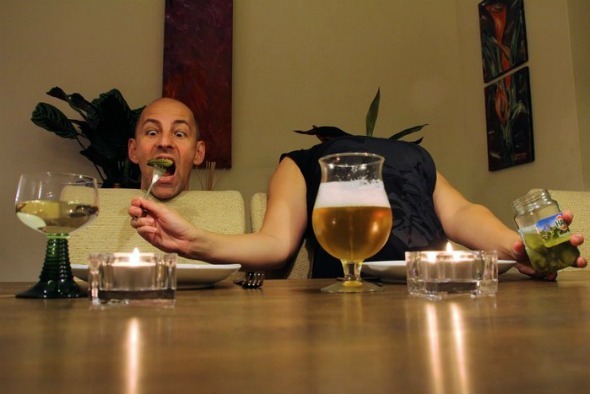 i love this illusion its sooo funny!!! I think the idea is cute if you use it for your own family and friends…why not. COME ON NOW !! thats almost like the “removing ur middle finger” trick. how do they bend their necks that far? pretty good. 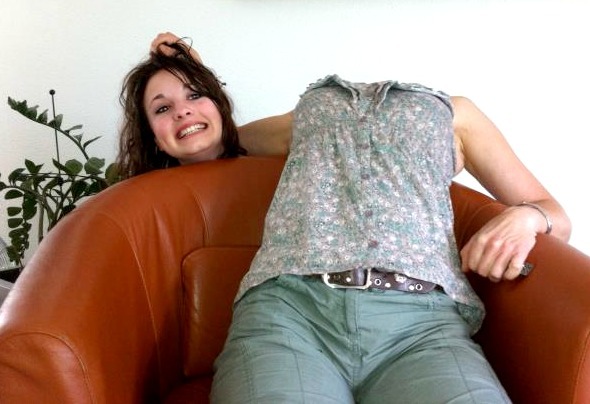 Is this were someone moves their head so the camera cant see it and the other person just pops up their head? is the 2nd picture from the top taken from FEU-Philippines ?? this is really cool and all but what i really wanna see is that Physco illusion ive heard of it but i cant find it.